This is a continuation of the previous article, The Ruins of AOL. Edited on 2015-11-05 to remove some statements referring to ommited pictures. Edited on 2015-12-26 to clarify that the AOL servers are no longer up. Edited on 2015-12-27 to clairfy that the AOL servers are actually up, but they aren't serving to AOL versions below 6. 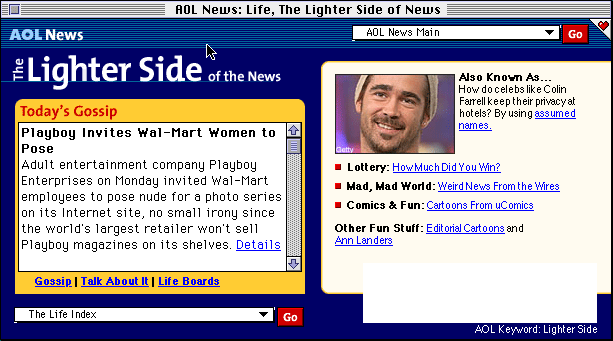 AOL 4 for Mac is a lot more like the Windows version we were looking at earlier. This one's actually the American version, so we won't be getting any weird British offshoots this time around. 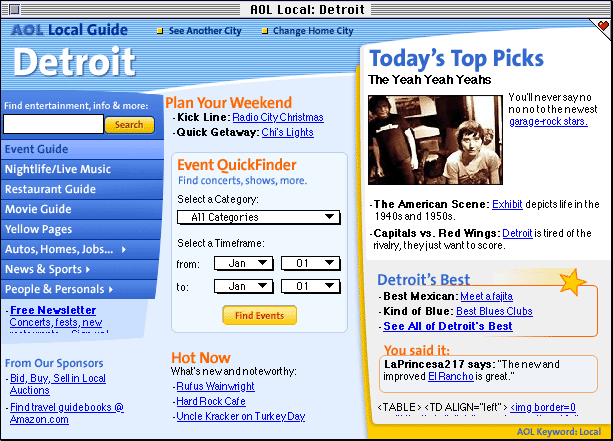 Also, I should mention right now that I never used AOL in the day, so this is entirely new to me. Now, the neat thing here is that a lot of the channels here actually work. For example, the Local channel works excellently. If I had Internet Explorer installed (like it insists for some reason) I could probably click on the links. The Kids Only section also works well. For some reason Kids Only, no matter the version, always seems to die last. This is no exception, as a lot of the links seem to work here when others do not. A couple things (like listening to soundtracks or watching trailers) require me to have a broadband connection. I'm reasonably certain I have one of those, but whatever. Now we can get into the fun stuff, because we get into actual things that have been sitting here untouched since N*SYNC was relevant. There's so much stuff here that trying to cover it all would be a futile effort without some sort of scraper, and I've really got nothing to say about every half-broken link. However, I will highlight some interesting things. 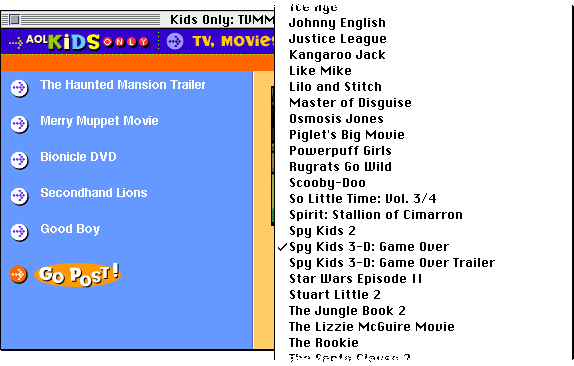 From this list of movies we can tell that this section of AOL was last updated in late 2002 or 2003. (Also, I just now realized Spy Kids 3D was released in 2003. I feel old now.) I can't help but picture some poor 12 year old stuck with an old Quadra, getting her entire dose of modern culture from decade old AOL pages. In fact, we can see exactly what that kind of person would look like in the Fashion section. And then I decide to go back a tiny bit and decided to look at the Pokémon Trading Card game stuff and not the books. 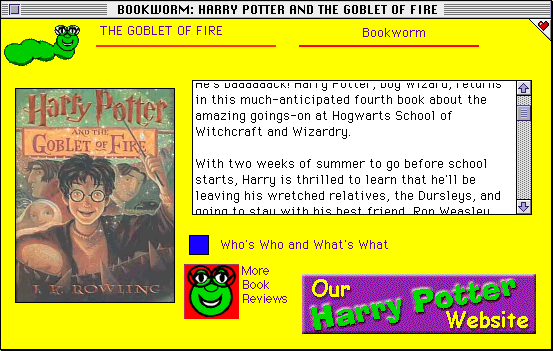 And now I've stumbled upon what is essentially Geocities. (Rastaman there is animated, by the way. His little arm lights fade in and out.) It's just amazing how much stuff is here. Like, here's a review for Sonic Pocket Adventure for the Neo Geo. Has anyone played that back in the day? I don't know. But it's there. Why? Don't know. 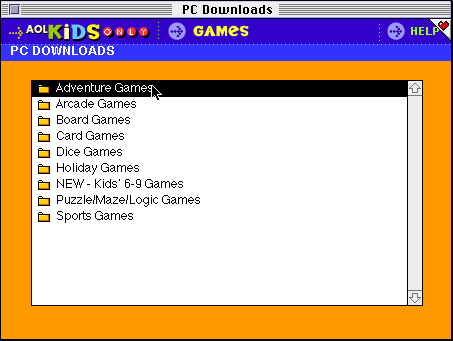 Want 100 megabytes of DOS games? Have fun. And keep in mind that we've never left the Kids section. 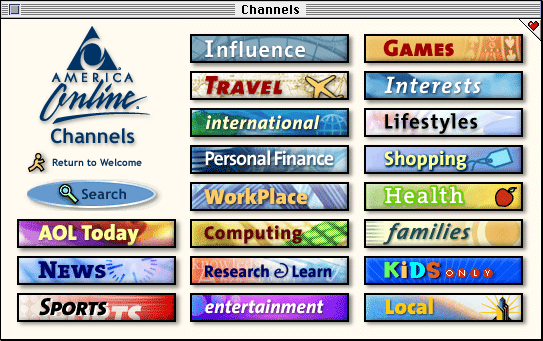 We can check out AOL Influence, for example. 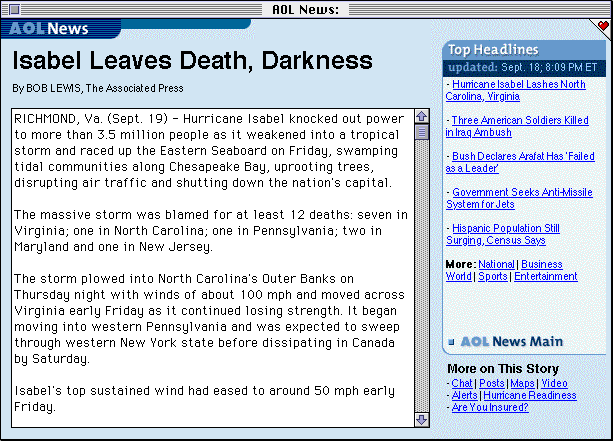 And from this, you can start reading news articles on Hurricane Isabel and U.S. troops getting killed in an ambush. This really is just bizarre. No warning, just one random Thursday at 8:09 PM the guys at the AOL site said "Welp, nobody's using AOL 4 for the Mac anymore. Shut 'er down!" It's like those abandoned schools and stuff you see on places like /r/UrbanExploration. 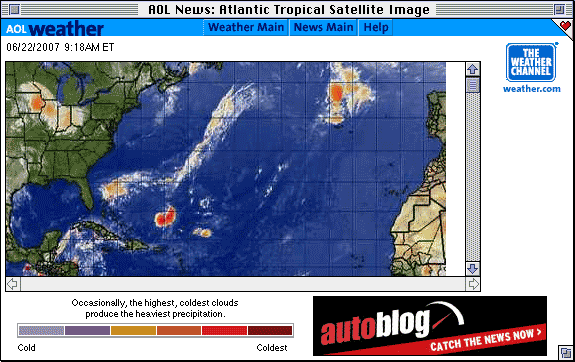 And from there you can look at maps of the weather from a Friday morning in 2007. 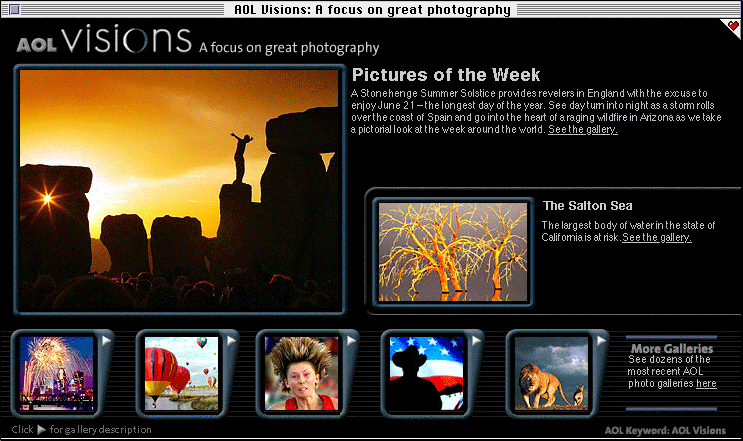 And then from there you can view AOL's photo galleries. I've gotta toss in the towel eventually. There's just too much stuff to cover. Just check it out yourself while you still can. Trust me, it's fascinating. If you want to check this out, grab yourself a copy of Basilisk II and either AOL 3.0 (17.9 MB) or AOL 4.0 (15.5 MB). (These are from my personal MediaFire, in BinHex format. Inject these into your emulated Mac hard disk via HFVExplorer.) Trust me, there's a lot out there. It's your turn to go exploring. AOL shut down the servers to AOL 4.0 and 5.0 back in the summer of 2015. 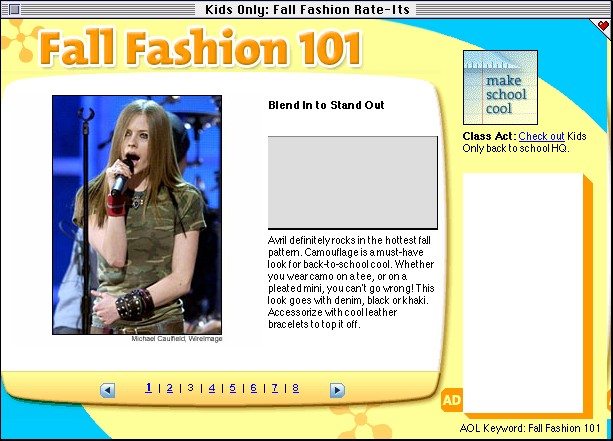 You can still get on with newer versions of AOL, but the content will obviously be different. There exists an in-progress backup by the Archive Team, but as far as I know there's no software to view any of these yet. 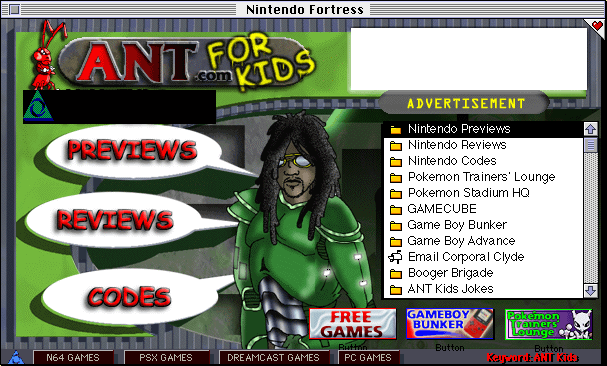 But hey, there's always Geocities to look at!